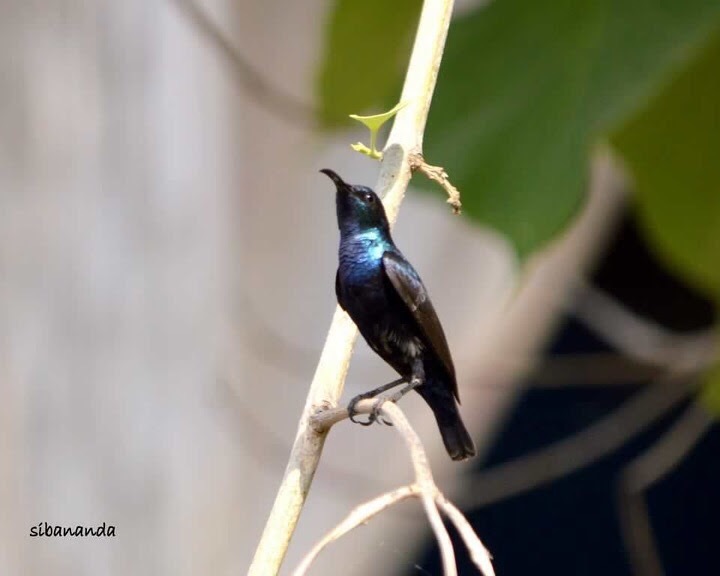 One of my Blogger friend’s interactive comments in to my last post of a Purple Sunbird blog allured my inner love ❤️ for such cute #WingedCreatures to post this shot. I will not hesitate to name my Blogger friend Dream Temples to whom I personally dedicate this beautiful Purple Sunbird blog. Actually my passion takes me closer to these winged beauties of nature.That was a lazy sunday noon at Daltonganj in Jharkhand and suddenly this glazed beauty caught my attention and i took no chance to miss this beautiful pose.I took the shot with my NIKON DSLR D3200 with NIKOR 70-300mm lens. “Birds are perhaps the most beautiful creations of God . Purple Sunbirds mostly live on *Necter*from 🌺 flowers & may be that’s why they are so cuteeeeee😍”. Next Post Be the #Change and that’s The •Biggest Thing World•expects from You…..
Wow! Thank you so much, sir.That’s awfully nice of you.This picture is spectacular too. The little thing seems to be deep in contemplation.Feeding nectar from the flowers,what can be more pure! To be honest I now confess…..
You got the real NECTER of my Post.